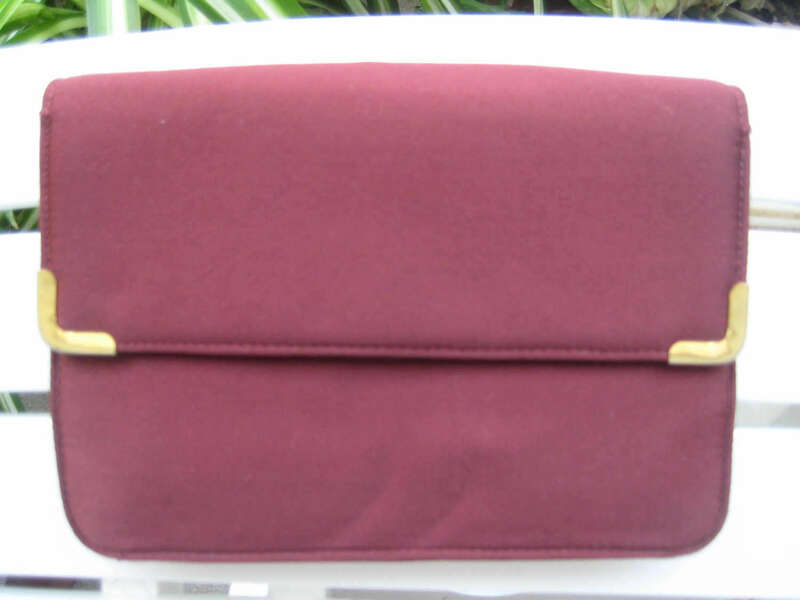 Practical burgundy fabric shoulder bag that can convert to a clutch. 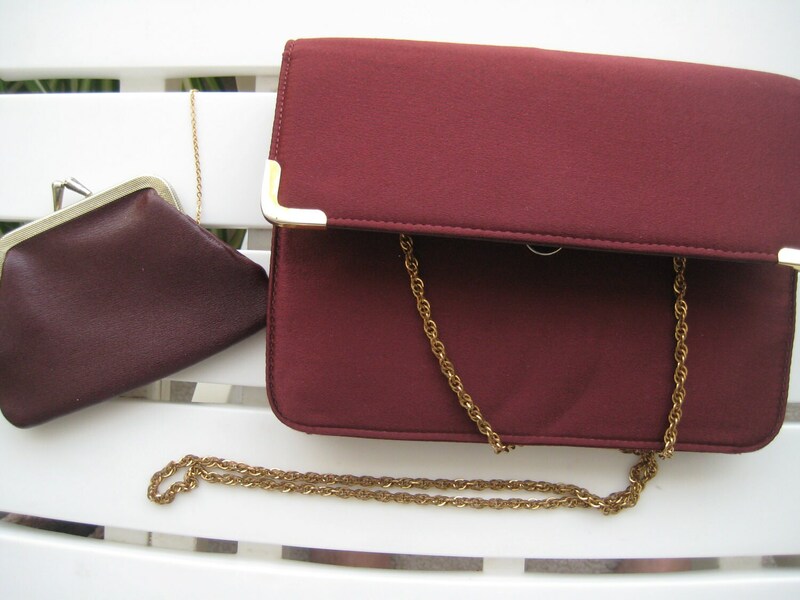 Made by famous vintage maker Koret. Soft satin-like exterior accordian bag with a fold over flap and catch. Gold tone metal trim. Gold tone metal chain strap with a drop of 14 inches. The chain can be stored in the bag to convert to a clutch. 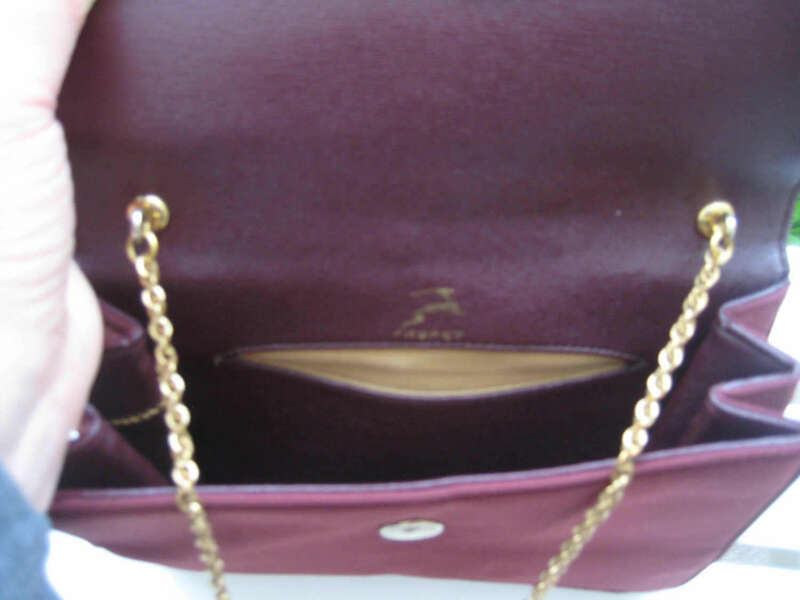 Adorable pleather change purse attached to the inside of the bag by a thin gold chain. 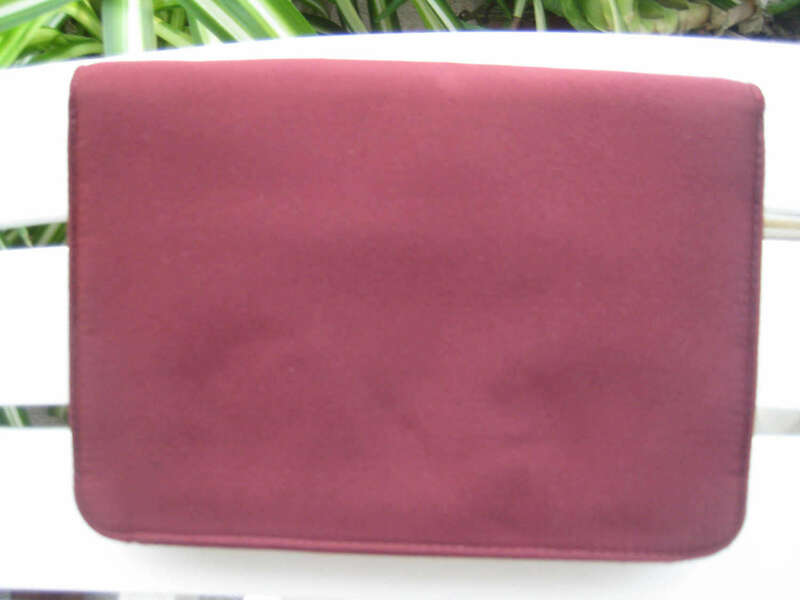 Interior lined with burgundy faux leather. One insert pocket and one plastic zippered pocket. Dimensions: 7.5 inches long x 5 inches tall x 2 inches wide on the expanded bottom.